Providence, RI: On Friday, September 27th, 2013 from 7:00 to 10:00 pm, Riverzedge Arts and The Plant are teaming up to provide DIY fun for a cause. 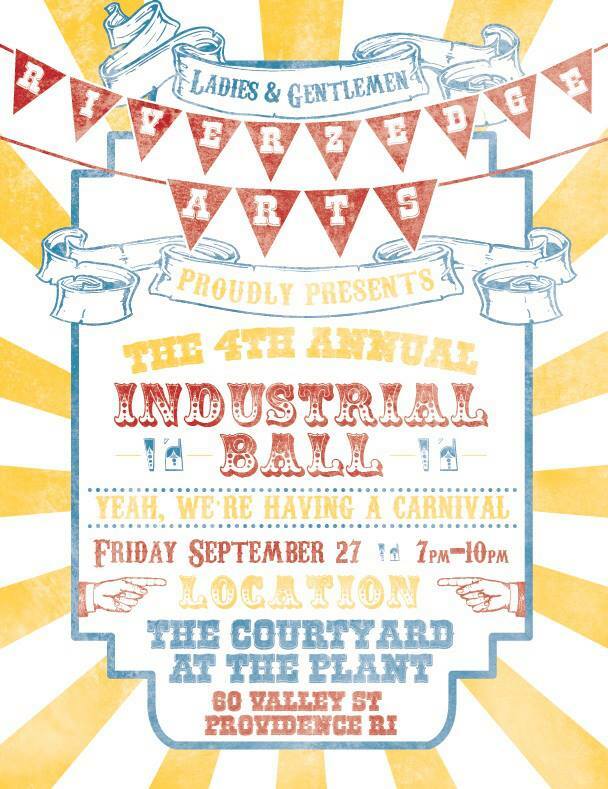 The 2013 Industrial Ball will feature traditional carnival activities with a modern twist as well as music, dancing and food from nearby Cuban Revolution. For the newly low price of $35.00, Ball goers can win prizes through feats of accuracy and luck, get their fortune told, print their own T’s and invest in a more successful future for an under resourced teen. To join Hasslinger in supporting Riverzedge Arts, buy a ticket on-line and come to the event!